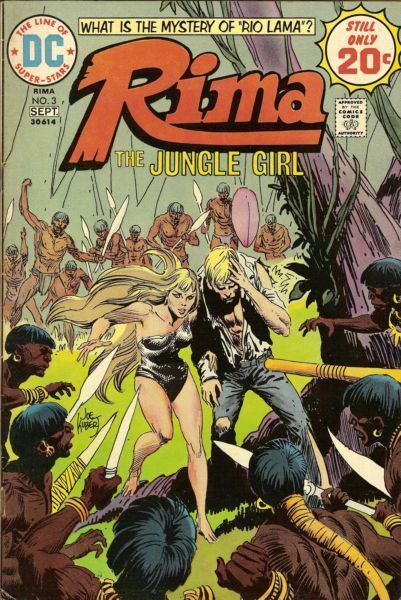 Joe Kubert cover, In "Riolama," Abel travels with Rima and the old man, Nuflo, to the land where Rima was born and along the way, Nuflo tells how he met Rima. Part 3 of the origin story of Rima. Story credits: Unknown. Art by Nester Redondo. Issue also has Space Voyagers in "The Hot Spot." Script by Robert Kanigher and art by Alex Nino. Cover price $0.20.